*0cm of fresh snow has fallen since yesterday morning and at 7:30am today the temperature was 1°c. Cooler temperatures have returned to the region presently at village level wet snow is falling which which means higher up on the mountain conditions should be fun. 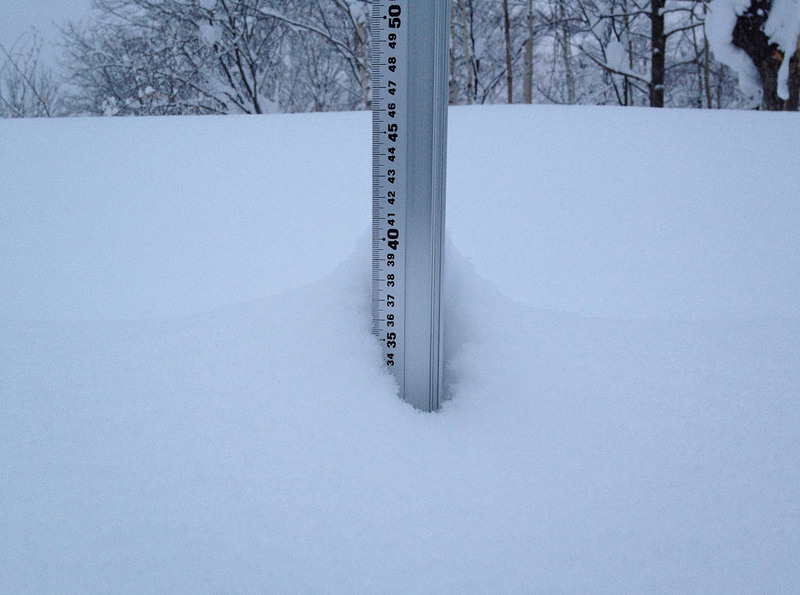 This morning we are heading to our local ski ground Hirafu Ski Ground for our final Niseko Snow Report for the season! Will check out some of our favorite runs including Super , One Ridge, Miharashi and Holiday.The annual Super Bumps Niseko Cup competition will be held this Sunday on the Nikabe course which is always great to watch and there will be a practice session this afternoon. A few shots from earlier in the week – beautiful spring conditions.